Julie Chen and Sharon Osbourne among hosts of new CBS chat-fest. CBS clearly wants its own version of The View. The network announced Wednesday that a new daytime talk show with six recurring co-hosts will launch in fall 2010. Its panel of "well-known news and entertainment personalities" will "examine topical events and contemporary issues through the eyes of mothers," CBS says. Sound familiar? The personalities include Julie Chen, wife of CBS chieftain Leslie Moonves and co-host of the network's Big Brother and The Early Show. 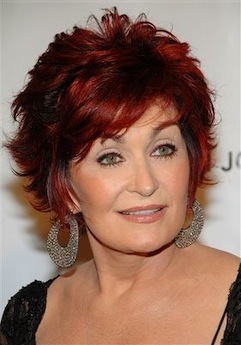 Also in the mix are Sharon Osbourne (currently a judge on NBC's America's Got Talent); Sara Gilbert (the openly gay former Roseanne co-star who developed the as yet unnamed show); Holly Robinson Peete, Leah Remini and Marissa Jaret Winokur. Peete and Winokur have been contestants on ABC's Dancing with the Stars, as has Osbourne's daughter, Kelly. "This panel is not a bashful bunch," CBS daytime programming head Barbara Bloom said in a statement. "They are outspoken on any issue you put on the table." Sounds just like those women on that ABC show.